We’re only $500 away from hitting $100k donations from Reddit, donate $10 and help reach this milestone! 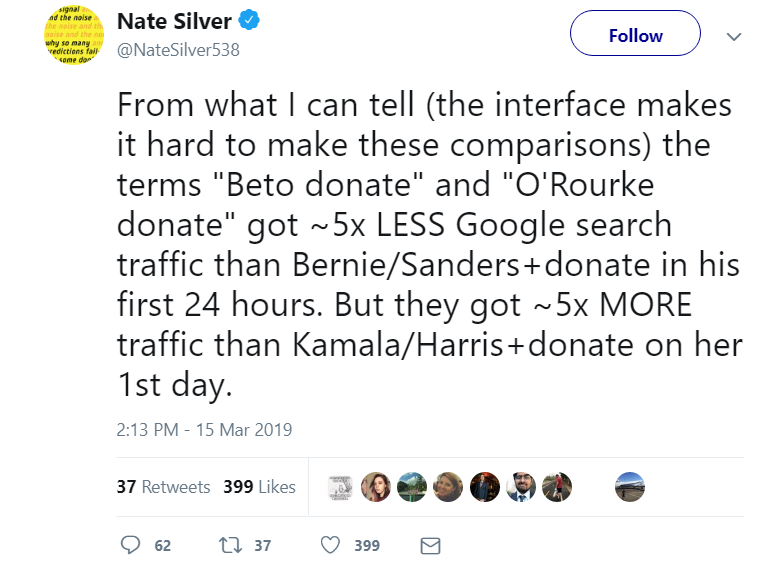 How much of this search were Bernie supporters looking for an update? I believe that Robert's first day numbers are not so great. We should post like we’re already in the general election where it’s Bernie vs. Trump — let’s make it clear that Bernie is the biggest threat to Trump in 2020.